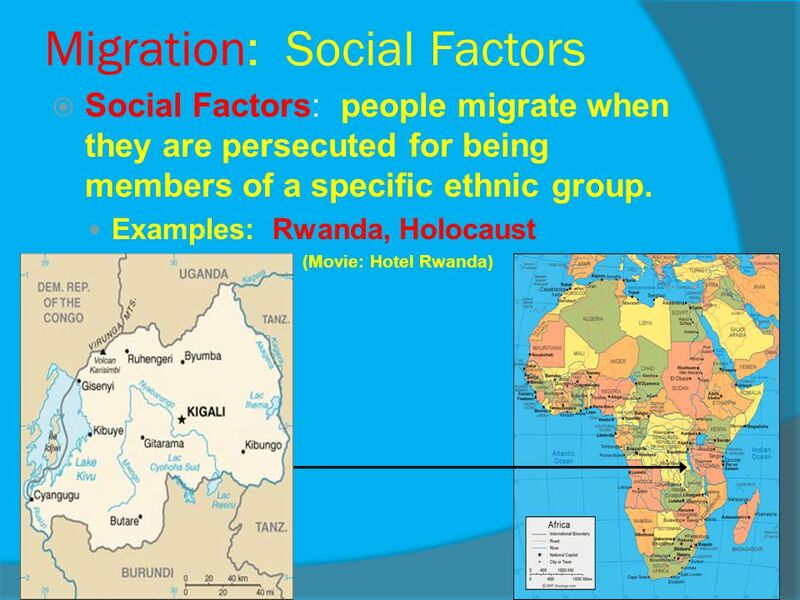 1 Migration What reasons cause people to migrate to different areas? Environment Factors: People move with the seasons. Changes in temperature or drought cause people to move. 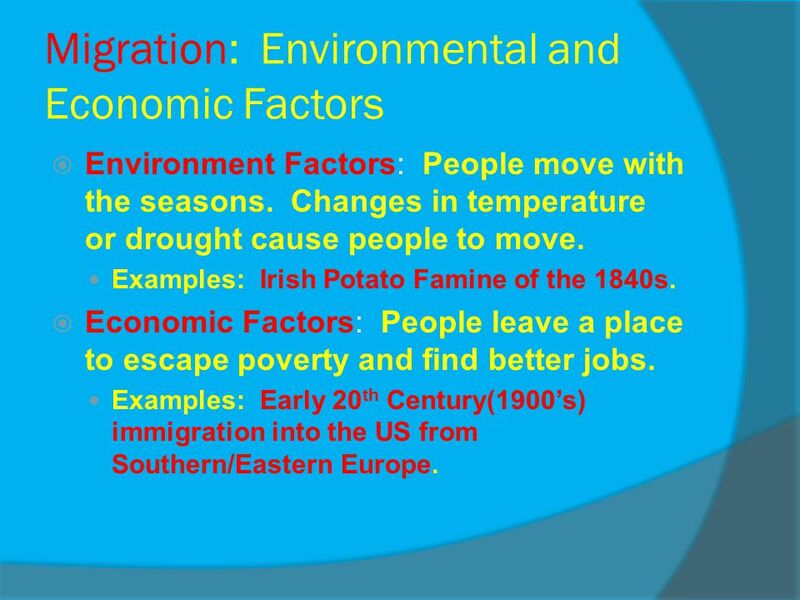 Examples: Irish Potato Famine of the 1840s. Economic Factors: People leave a place to escape poverty and find better jobs. 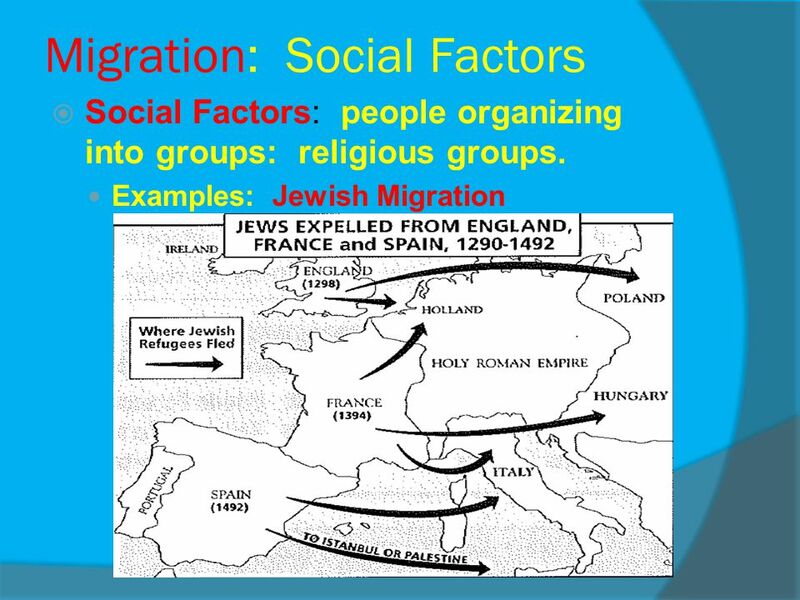 Examples: Early 20th Century(1900’s) immigration into the US from Southern/Eastern Europe. 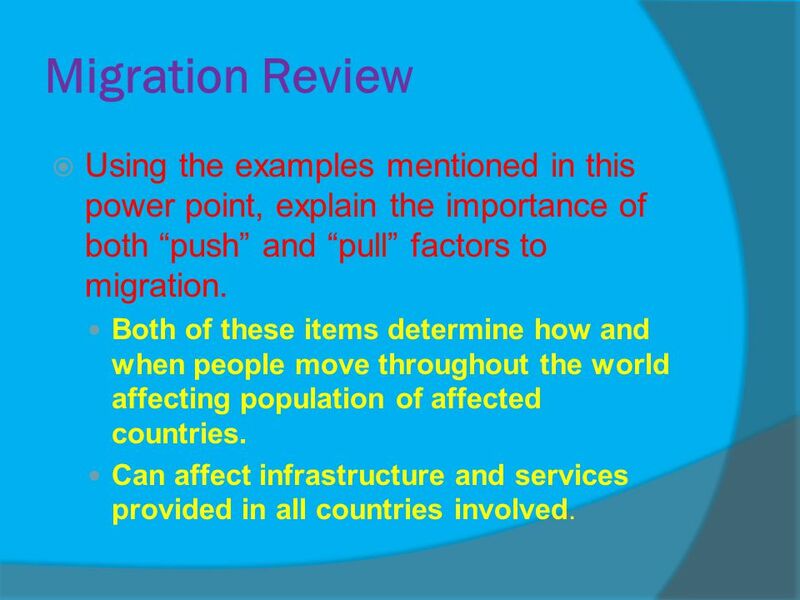 11 Migration Review Using the examples mentioned in this power point, explain the importance of both “push” and “pull” factors to migration. Both of these items determine how and when people move throughout the world affecting population of affected countries. 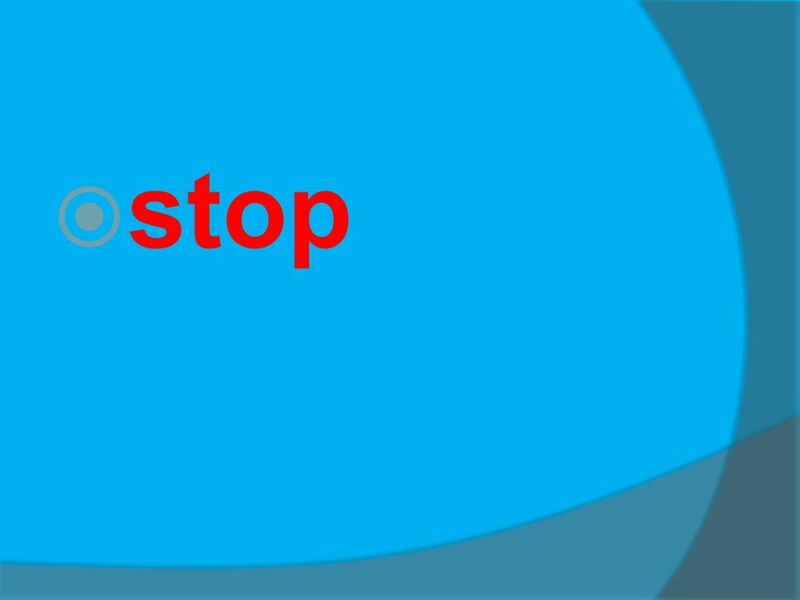 Can affect infrastructure and services provided in all countries involved. 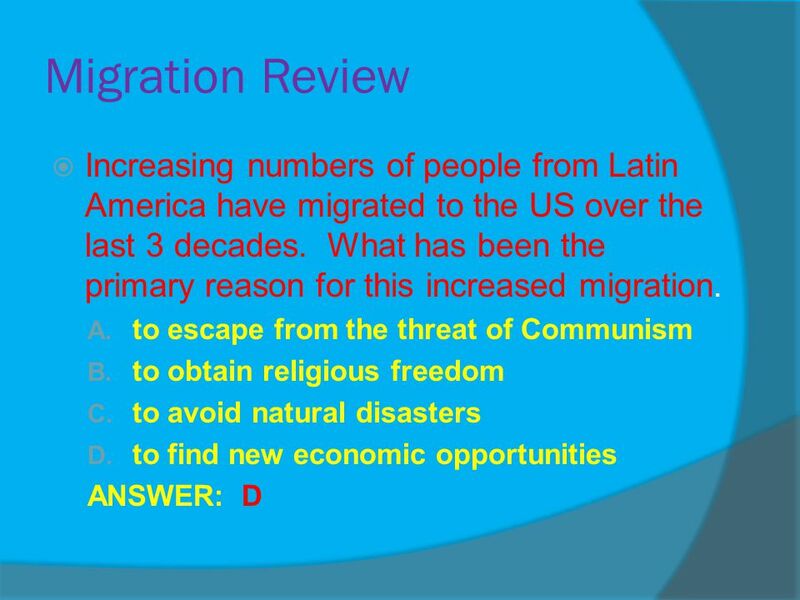 Download ppt "Migration What reasons cause people to migrate to different areas?" MIGRATION. Migration the movement of people from one place or region to another. 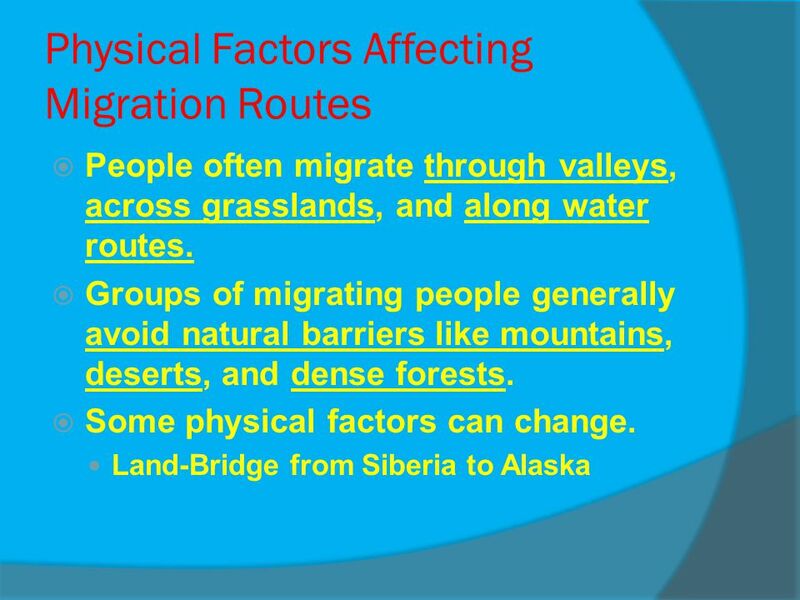 Migration You will be able to “explain how political, economic, social and environmental push and pull factors and physical geography affect the routes. 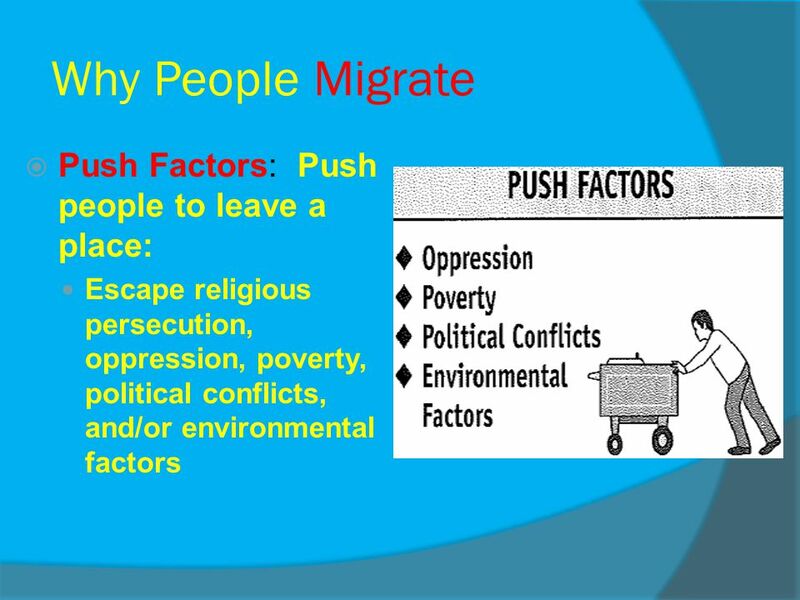 Immigration Push and Pull Factors. Key Issue 1: Why Do People Migrate? 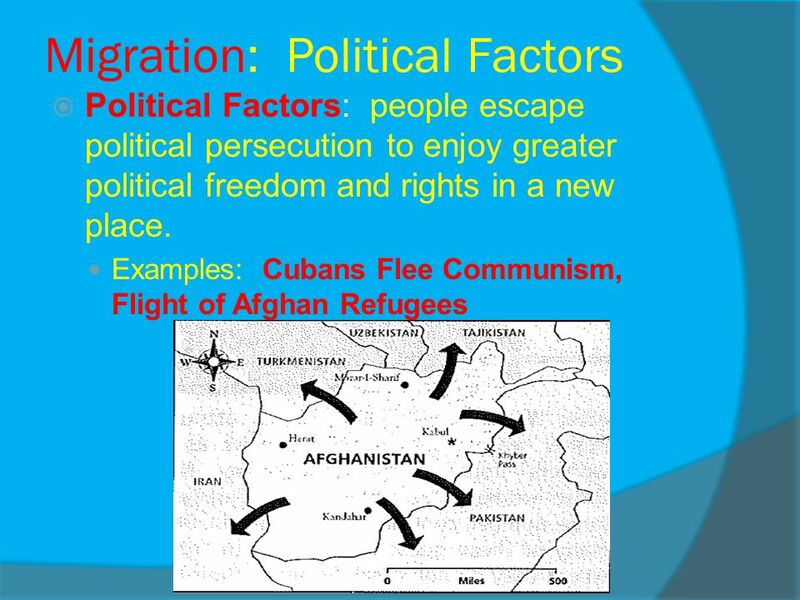 Immigration Migration is the movement of people from one place to another Migration can occur as result of push and pull factors. 3-4. First – Some Review Questions  NUMBER ON YOUR PAPER FROM 1-10  WE WILL GO THROUGH ALL OF THE QUESTIONS AND THEN REVIEW THE ANSWERS! PUSH PULL FACTORS What are the patterns of people leaving a place or going to a place? WG.7.B explain how political, economic, social, and environmental. 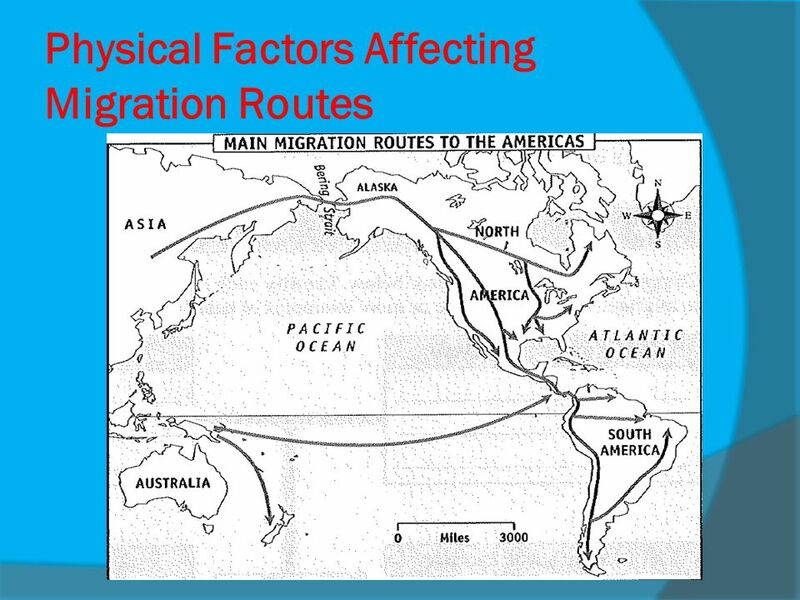 Population Geography Migration. Vocabulary (there will be more later!)  Migration - A permanent move to a new location  Immigration - Migration from. Environmental. Population Migration POPULATION MIGRATION. 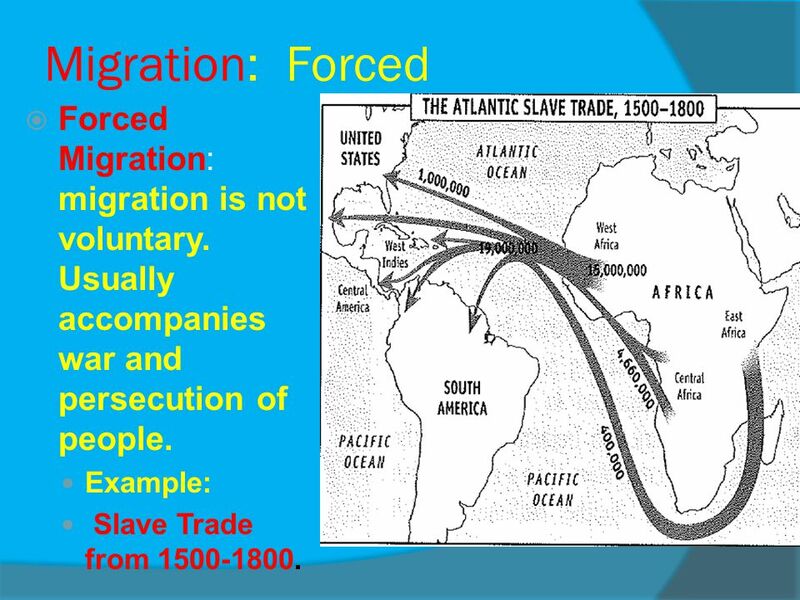 Migration – Forced and Voluntary 11/16 Bell-ringer: What are 3 examples of “forced” migration? What are 3 examples of “voluntary” migration? What is the. Immigration in Canada What is an Immigrant? –Immigrants are people who move to a new country with the intention (goal) of settling there.